Writing a simple, informed and succinct birth plan helps ensure your wishes are known and respected by your entire birth team. You can describe your preferences for labor, birth, emergency situations and post-birth care clearly and concisely. Get started by downloading and customizing a template that incorporates the Lamaze Six Healthy Birth Practices. While there's no "right or wrong" for creating a birth plan, there are some things to consider that will help you get the most out of the process. Involve the people who will play a major role in your birth decisions. While it’s ultimately up to you how you will give birth, getting support and advice from your family, doula, midwife or care provider will help make you more confident when it comes time to put the plan into action. Your birth plan should be the icing on the cake. Start collecting information and envisioning your birth day long before you write your birth plan. Once you’ve considered and researched the many choices available surrounding labor and birth, then it’s time to write it all down. Be sure that you’re making informed, evidence-based decisions, and remember the Lamaze Six Healthy Birth Practices. Too many words can cause important facts to get lost. Describe your wishes succinctly and clearly, and only include necessary details. 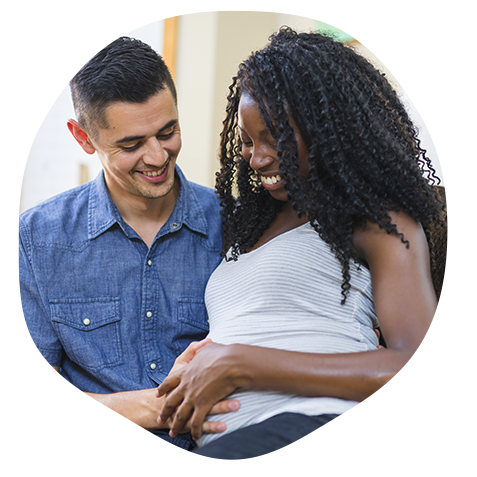 Bring your birth plan to your next prenatal appointment and discuss how you envision your birth with your health care provider. If you don’t feel your preferences were received or supported, consider whether your provider and place of birth is the best choice for your needs. A birth plan is not a guarantee. While you can’t guarantee how things will unfold, you can request preferences for you and your baby's care during birth. While certain birth plan requests, like allowing the baby's cord to stop pulsing before being cut or delaying (or refusing) the Hep B newborn vaccine, should be observed regardless of the birth situation, other preferences may have to be amended depending on the health of both mom and baby.